5.00pm: Third Rock Cafe open. 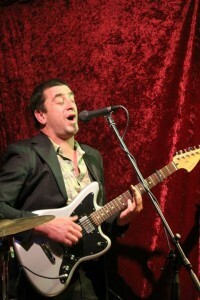 6:15pm – 7:15pm: Mick Trembath is a Ballarat born, blues and roots singer songwriter. His 25 year career – performing, teaching, acting, writing and playing the blues has taken him around Europe and Asia and performed to over 25,000 people during a tour in South Korea. The winter sky will be magnificent with the center of our Galaxy high up in the sky allowing us to explore some of the exotic objects that lie around it. Entry Costs ( Members 1/2 price) Bring a Friend…..